OSIEA promotes vibrant and inclusive democracies in Eastern Africa. Founded in 2005, OSIEA plays an active role in encouraging informed dialogue about issues of public importance. We promote democratic governance, justice, human rights, equality and non-discrimination, respect for rule of law and protection of rights of minorities. We play a key role in amplifying the voices that promote open society ideals. We do this by supporting individuals, organizations, coalitions, and movements. The Open Society Initiative for Eastern Africa (OSIEA) seeks to recruit a Program Officer who will report to the Program Manager – Economic Governance. Overall job purpose: The Program Officer’s core duties will entail provision of technical support in identification and fostering of effective grant making relations in a dynamic, creative and committed manner with a focus on OSIEA’s Economic Governance programming in the Eastern Africa region. The program officer will particularly focus on food security and land rights programming in the region. · Provide a bold vision for innovative work that will add value to the existing efforts in the region by identifying grant-making, operational, and advocacy strategies on food security and land rights in Eastern Africa. · Support the program in conducting relevant legal and policy analyses for internal and external audiences. · Support in the identification of capacity and institutional development opportunities in partner organizations (grantees). · Support network/coalition/alliance building for joint advocacy with grantees and constituents targeting governments, donor agencies, service providers, and the general public. · Oversee administrative duties within the program and supervision of consultants. · Develop partnerships with the rest of the program staff in the identification and evaluation of emerging and key development trends and priorities in a particular region. · Scan the external environment to ensure program relevance. · Engage with civil society actors, attend meetings, solicit and evaluate grant proposals, follow-up with grantees and potential grantees. Conduct site visits as necessary. · Coordinate meetings, conferences, partnerships. · Participate in writing, editing or commissioning reports and advocacy documents on the Economic Governance programme. · Conduct advocacy in collaboration with grantees and constituents targeting governments, donor agencies, service providers, and the general public. · Represent OSIEA at key functions and meetings related to the Economic Governance program. · Participate in program learning, knowledge generation and management. · Eight years of relevant work experience on human rights and social justice. · Substantive knowledge and at least 5 years’ experience working on land rights and food security in Eastern Africa. · Ability to manage several simultaneous projects in a fast-paced environment. · Integrity, team work, diplomacy and professionalism will be essential. · Extraordinary initiative, creativity and capacity to think strategically. · Ability to communicate clearly and effectively with a diverse array of people. · Strong organizational skills and close attention to detail. · Willingness to travel as needed. OSIEA seeks to recruit a Program Officer, Democratic Governance and Rule of Law Program. 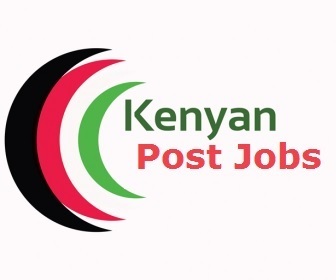 Overall job purpose: The Program Officer’s core duties will entail provision of technical support in identification and fostering of effective grant making relations in a dynamic, creative and committed manner with a focus on OSIEA’s democratic governance and rule of law programming in the Eastern Africa region. · Provide a bold vision for innovative work that will add value to the existing efforts in the region by identifying grant-making, operational, and advocacy strategies to advance democratic governance and the rule of in Eastern Africa, particularly in relation to right to information and freedom of expression. · Support the program in conducting relevant legal and policy analysis in the region for internal and external audiences. · Support identification of capacity and institutional development opportunities in partner organizations (grantees). · Participate in writing, editing or commissioning reports and advocacy documents on the Democratic Governance and Rule of Law program. · Represent OSIEA at key functions and meetings related to the Democratic Governance and Rule of Law program. · Substantive knowledge and experience working on human rights, democratic governance, and rule of law in the Eastern Africa context particularly in relation to the right to information and freedom of expression. · Extraordinary initiative, creativity, and capacity to think strategically.